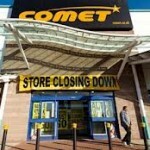 Latest Stock From Failed Electrical Retailer Comet. There’s a buzz in the air over here at Wholesale Clearance UK, as we have acquired some of the stock from the recently administered electrical retailer Comet. 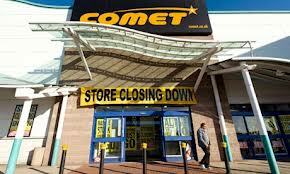 So what does the Comet stock include well there’s… Office equipment, printing cartridges, TV stands, hoovers, DVD recorders, DVD players, amplifiers, Sky Boxes, cookers, dishwashers, fridges, fridge freezers, dyson hoovers and more. Some products may have a small amount of superficial damage due to them being ex-display products, however the products you’re getting here are top quality, quick selling items with the potential to make some serious CASH! If you have any questions on this stock then please feel free to contact us using any of the contact methods displayed on our website.